Set of 6 Bamboo Cooking Utensils Only $7.50! 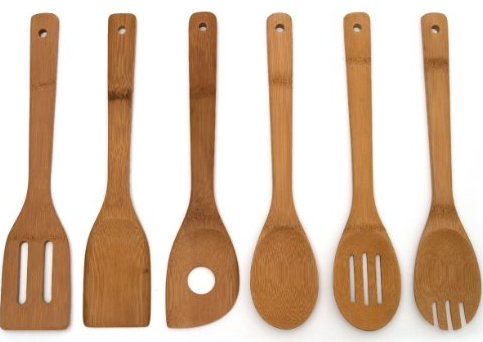 You are here: Home / Great Deals / Amazon Deals / Set of 6 Bamboo Cooking Utensils Only $7.50! Bamboo cooking utensils are my favorite! If you love them, too, or need some new ones for your kitchen, you’re in luck! This set of 6 Bamboo Cooking Utensils are priced at just $7.50! And, shipping is FREE with Amazon Prime or Super Saver Shipping!